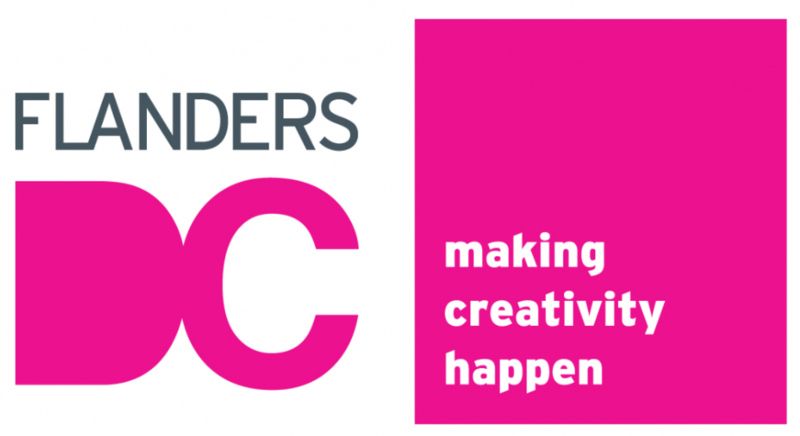 For the past 9 years, District Creativity Flanders “Flanders DC”, the ‘Flemish organisation for entrepreneurial creativity’, has thrived to honor its mission: to ‘make entrepreneurial Flanders more creative and Creative Flanders more entrepreneurial’. Self-defined as the ‘face of the creative industries’, it has been speaking for the potential of the creative industries for innovation transfer. It has also been raising awareness about the potential of innovation for the Flemish economy. Flanders DC works as an umbrella platform working closely with sector-oriented organizations such as the Flanders Fashion Institute, the Design Vlandeeren, or the Flemish Music Center. Focusing on 4 main axis, Flanders DC does research on creativity, innovation, entrepreneurship and creative industries. The different key programs focus on stimulation of creativity within the economic landscape (‘Get Creative’), the promotion of entrepreneurship within the creative industries (‘Get Entrepreneurial’), the collaboration of cross-field individuals (‘Work together’), as well as paving the way for future generations (‘Students and Schools’). Carlo Vuijlsteke is Project Manager Creative Industries at the Flanders DC. He’s been fostering collaboration between sub-sectors of the creative industries in Flanders by constantly connecting the dots. Carlo reviews the different milestones of the ideation and set up of the Flanders DC initiative as well as its ultimate goal. What is really interesting in this approach is that it is a hybrid bottom-up, top-down initiative in the sense that both politics of several ministries worked hand in hand with representants of the different 12 sectors that make the creative industries in Flanders. The impluse behind the creation of Flanders DC and its programs was to find new ways for the Flemish creative industries to differentiate themselves, from an industry perspective. At the time the Flemish government wanted to tap into its talent pools and take a direction of an innovation-based economy. The perspective worth noting here is that Flanders DC not only helps making creatives more entrepreneurial but it also shows that creativity with its wide array of ideation, creativity tools, can be applicable in more traditional industries present in Flanders. This innovation transfer, based on a closer collaboration between the creative industries and traditional industries, is key in the sense that it makes the case for creativity as an asset for the province’s economy. Flanders DC organized free workshops for companies who would like to acquire a few tools to foster creativity within their organization, but oftentimes lacking the knowledge or facing company culture. For traditional large companies, the abilitly to be creative and hence innovative is rather limited. Here is when the innovation transfer facilitated by Flanders DC comes into play. Offline and on-site events are very important for people to meet and make contacts. Flanders DC has decided to organize a yearly event where creative types from all over Flanders meet to exchange tips and tricks, discuss relevant hot topics for the creative industries, and learn from each other. The first edition took place this fall in Ghent, aka CreativeVille. Believing that entrepreneurship skills can be learned early on, Flanders DC has set up various programs with art and design schools. For instance, it has been running an internship program by sending off 30 candidates for 6-month internships all across Europe every year. They’ve also started a peer-to-peer coaching initiative for fresh graduates who own a business. 15 professionals step in as coaches for 15 young designers, musicians, or artists. 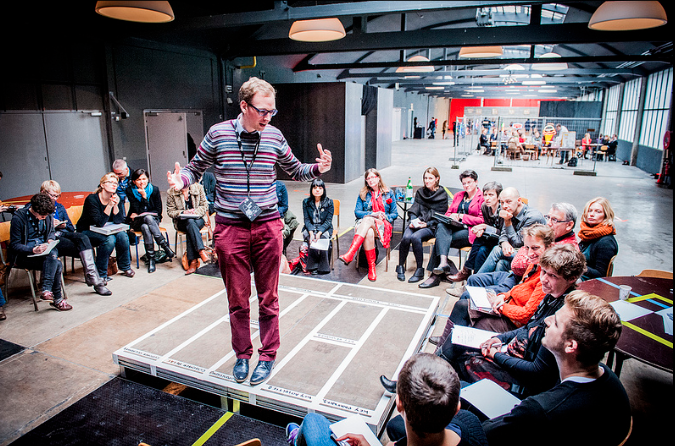 A series of themed-specific workshops come in as complements to give some extra advice to young Flemish creatives. Flanders DC claims to be the face of Flemish creativity, and it does so by being active on an international level. It’s a member of an extended network (‘DC Network’) of creative ‘districts’ around the world: Oklahoma (USA), Tampere (Finland), Rio de Janeiro (Brazil), Shanghai (China), etc. Sharing best practices, this organization aims to stimulate creativity across the different member districts. Despite no recent activity on the website, the network has published various studies on topics such as the internationalization of SMEs, global entrepreneurship, and innovation and community empowerment. Created back in 2004, strong of 9 years of existence, and international collaboration, it would be interesting to see if the network will publish anything to celebrate the 10-year anniversary. Making a case for creativity for the Flemish economy, Flanders DC has conducted a real awareness campaign among the Flemish population, but also with kids and youngsters. They have set up tailored programs aimed at several school ages: 6th grade (12-year-olds), 3rd and 4th grades of secondary education (14-15-year-olds), university and art and designs schools graduates. They have decided to get involved with schools to foster an entrepreneurial mindset as well as to ignite a flair for creativity. 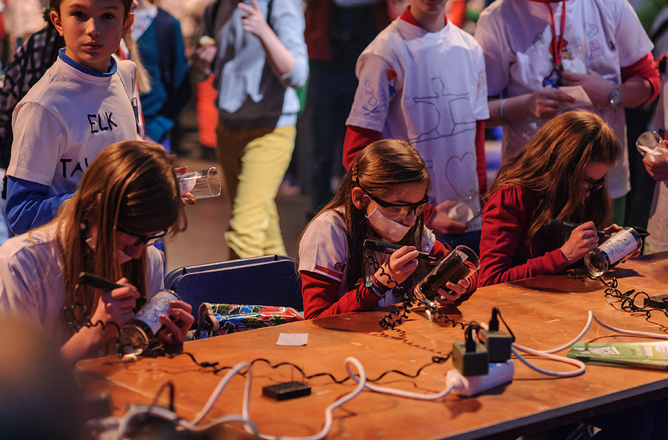 Flanders DC has organized the IKANDA (‘I can do it’) children’s congress, where 12-year-olds go through a think-and-do exhibition aimed at making them play with science, culture, and entrepreneurship. The latter gets a fresh perspective for 14-year-olds through an entrepreneurship competition, offering a first ‘real’ entrepreneurial experience through business plan writing, and all that is included in starting up a company. To wrap up the comprehensive education spectrum, fresh graduates have the ability to go abroad for a 6-month internship in companies or organizations active in the creative industries. Flanders has around 6 million inhabitants and its territory covers about 13 thousand squared kilometers. Can such a model be replicated to other regions in the world? Is Flanders just big and small enough at the same time that it can work? Is it because Flanders’ main asset is grey matter and brain power that such a policy can be set up? Not all regions, or countries have decided to focus on the creative industries as a main economic asset. Fair enough. However, as the case of the Flanders DC initiative shows us, there are several key points that can be adapted to foster innovation and creativity within one’s economy, independently from the governmental level you’re thinking of. 1. The hybrid bottom-up/top-down approach, mixing policy makers and representatives of an industry. With this collaborative perspective, thinking a public policy by really listening to the main beneficiairies of the policy is key. When taxpayers’ money needs to be invested and spent wisely, this approach can be a win-win one. 2. Creativity and innovation are definitely buzz words and hip concepts. With hands-on projects such as the peer-to-peer coaching, or ideation workshops, Flanders DC has showed us that you can deconstruct these big fluffly concepts by showing what they really are: work methodologies and perspectives. 3. The biggest potential for a country’s economy lies in its talent. Without turning our children and students into the perfect little innovators, while not adding any extra load to already-overworked teachers, small initiatives such as the ‘Next Generation’ can have a large impact in the way future generations grow a flair for creativity and innovation. Instillating this sensitivity towards innovation will also make a generation more enclined to supporting it as part of an country’s economic strategy, as well as to pursue it as a means or an end to their work. Flanders DC has been around for 9 years now, I’m curious to see if such an initiative will be an inspiration for others to try out new things, with little means, but great passion. If you are into creativity and innovation, you may want to pencil in the next big thing organized by Flanders DC, i.e. the Creativity World Forum to take place in Flanders in Fall 2013.